Posted at: 3/24/2010 10:43:00 PM . 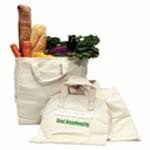 Good Housekeeping currently has a promotion for a free set of three shopping bags when you purchase $25 from participating brands in a single transaction. Full details on how to redeem your free shopping bags can be found on GoodHousekeeping.com.